This year's sale includes 12 free doorbusters! If you're looking for big savings on name-brand clothing, accessories, kitchen appliances, and home goods, then Macy's 2018 Black Friday sale is probably on your radar. We've rounded up the best deals from the store's 40-page ad scan to help you strategize your Black Friday plan of attack. 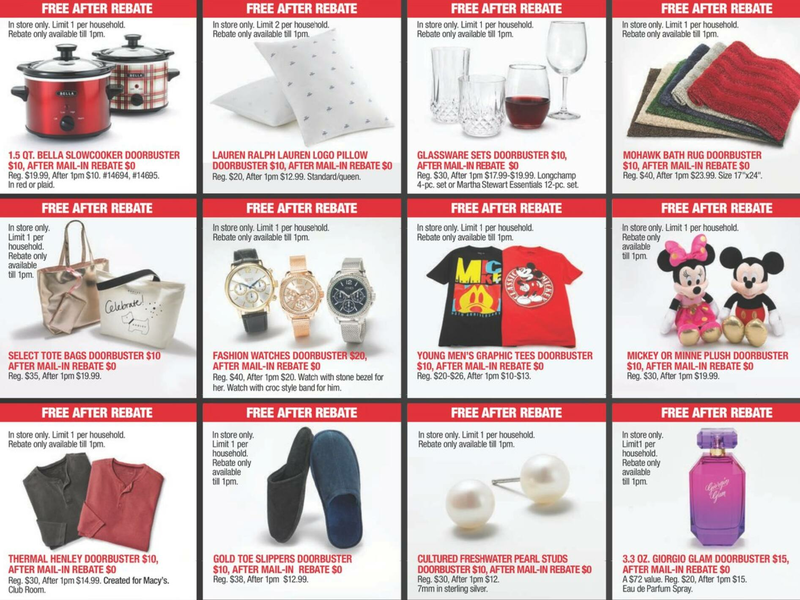 When it comes to Black Friday doorbusters, Macy's covers a wide variety of categories and is known for pushing its fair share of rebate deals. Obviously, the 12 free doorbusters are competitively priced. If any of those items are on your holiday shopping list, Macy's is the best place to get them. Keep in mind, however, each doorbuster is limited to one per household, and the rebates are only available until 1 PM. Kohl's and JCPenney will have $20 1/10 ct. t.w. diamond jewelry with no purchase required, so you may want to skip the bonus buy from Macy's and purchase your sparklers elsewhere. When it comes to the KitchenAid 5-qt. artisan stand mixer, Target has the Black Friday price to beat at just $219.99. But if you're looking for a smaller model, you could save some cash by going with Macy's $189.99 4.5-qt. mixer instead. And the Corningware and Pyrex sets are priced right if you take advantage of their mail-in rebates. These beauty sets are typically similar to Black Friday deals from ULTA and Sephora, but they always ship free at Macy's. If you're looking to load up on beauty products for Black Friday 2018, Macy's is a great place to do so. When Was the 2018 Macy's Black Friday Ad Scan Released? Macy's unveiled its 40-page Black Friday ad earlier than usual on November 5th — not far behind Kohl's, Target, and JCPenney. What Time Does Macy's Open on Black Friday and Thanksgiving 2018? The store will open at 5 PM on Thanksgiving Day 2018 and will remain open until 2 AM the following morning, but you'll want to get to the store as early as possible if you're hoping to snag this year's doorbusters. 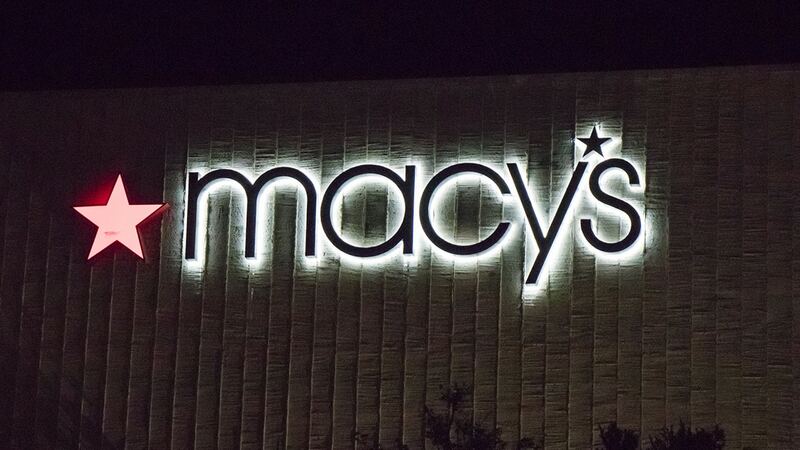 Macy's will then re-open its doors at 6 AM on Black Friday. Hours may vary based on location, so be sure to check your local store's schedule. When Does the Macy's 2018 Sale Begin Online? No interest in dealing with the holiday crowds? Stay at home and shop Macy's Black Friday deals online or via the store's mobile app starting as early as Wednesday, November 21st. That said, you may want to hold off until Thursday before placing your order. The store will offer free shipping on orders of $49 or more from November 22nd through November 24th. When is The Best Time to Shop Macy's 2018 Black Friday Sale? If you're hoping to take advantage of Macy's 2018 Black Friday doorbusters, you'll need to be at your local store right at 5 PM when doors open on Thanksgiving Day. There are plenty of other ways to save money at Macy's beyond just shopping the store's advertised Black Friday deals. Look for an applicable Savings Pass. Macy's Black Friday ad features two coupons: one for $10 off a $25 purchase and another for $20 off a $50 purchase. Both can be used on select sale and clearance clothing and home items in-store and online, although neither one can be used on doorbusters. Shopping online? Enter code BLKFRI25 or BLKFRI50 at checkout. Download the app. If you don't already have the Macy's mobile app, you may want to wait until Black Friday to download it. Customers get 25% off their first in-app order. Enroll in Star Rewards. Macy's loyalty program lets you earn discounts toward future purchases based on how much you spend. The store's cardholders are automatically enrolled in Star Rewards as Silver-tier members, but you don't need a Macy's credit card to join the club. Anyone can enroll online, in-store, or over the phone and become a Bronze member of Star Rewards for free. Pick up your items in-store. Spending less than $49? Skip the shipping charge by selecting free in-store pickup at checkout. Last year, shoppers also received a Savings Pass worth 15% to 20% off their next in-store purchase when they elected to ship their online Macy's order to their local stores instead. Be on the lookout for a similar promotion this year. Buy a beauty item. Another way to get your order shipped free is to add a beauty item to your cart. All beauty orders ship free of charge. Join the Plenti Rewards program. This free program allows you to earn points on purchases from Macy's and other Plenti retailers (including AT&T, Exxon, and Hulu). These points can then be redeemed for rewards at any of Plenti's retail partners. Everybody will have the 2018 Macy's Black Friday ad scan when it comes out, but what makes the Slickdeals experience different is our interactive features. We turn every deal of every ad scan into a deal thread that our community can comment and vote on, making it easier for you to decipher between great and not-so-great Black Friday deals. Keep an eye out for Black Friday news on our blog where we will be reviewing some of the most popular ad scans for 2018. You can also download the Slickdeals app to get push notifications when your favorite stores release their Black Friday ads. Get your Slickdeals app installed today so you don't miss out! And for all the best current deals and discounts at Macy's, be sure to check out the Macy's store page. Are you excited for the upcoming Macy's Black Friday sale? Which items are you hoping to snag this year? Sound off in the comments!